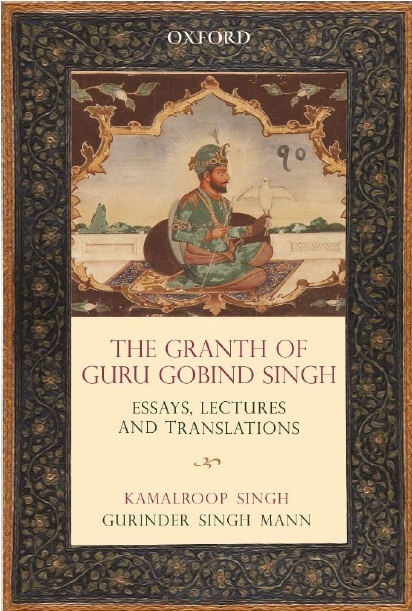 Sikhnugget presents the birth Anniversary of the Tenth Patshahi: Sri Guru Gobind Singh Ji in pictures. Sri Harimandir Sahib lighted up on the Birth Anniversay of Guru Gobind Singh ji. 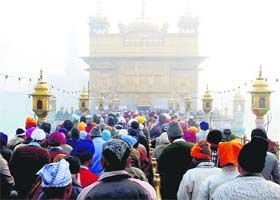 Devotees await their turn to pay obeisance at Sri Harimandir Sahib. A nagar kirtan procession being taken out on the eve of birth anniversary of Guru Gobind Singh in Patiala. A Nihang holding a sword recites religious verses during a procession ahead of the birth anniversary of Guru Gobind Singh in the Chandigarh. 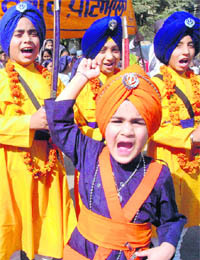 Sikh girls participate in a religious procession ahead of the birth anniversary of Guru Gobind Singh in Jammu, India. A Sikh fire breather performs in the northern Indian city of Amritsar. Pictures courtesy of Tribune India, Hindustan Times, Narinder Nanu, AFP/Getty Images.